BURAO, Somalia (Reuters) – In a makeshift camp beside a disused airfield in the breakaway Somali region of Somaliland, 32-year old Nima Mohamed sits next to an open wood fire, boiling a kettle of black tea. Unless aid groups bring them food and water, the tea is the only meal of the day for her three sons and three daughters who lie nearby in a home made of old bed sheets. Mohamed is one of the two million people in the breakaway Horn of Africa republic — about half its population — facing starvation after an acute drought killed their livestock. “We have lost all our animals,” she told Reuters. Before their goats died from lack of pasture and water, they provided milk for the children to drink and butter which was used to cook rice for the family to eat, she said. About 100 or so other families were camped out next to Mohamed’s hut in similar structures made of sticks, plastic sacks, moth-eaten canvas and cardboard. They settled outside the airfield after migrating from various drought-stricken parts of Somaliland, especially in the eastern part of the territory. According to the government, 70 percent of Somaliland’s economy relies on livestock. The carcasses of goats, sheep and camels strewn around Burao and the vast, dusty scrubland surrounding the small city, are stark reminders of the extent of the hardship. 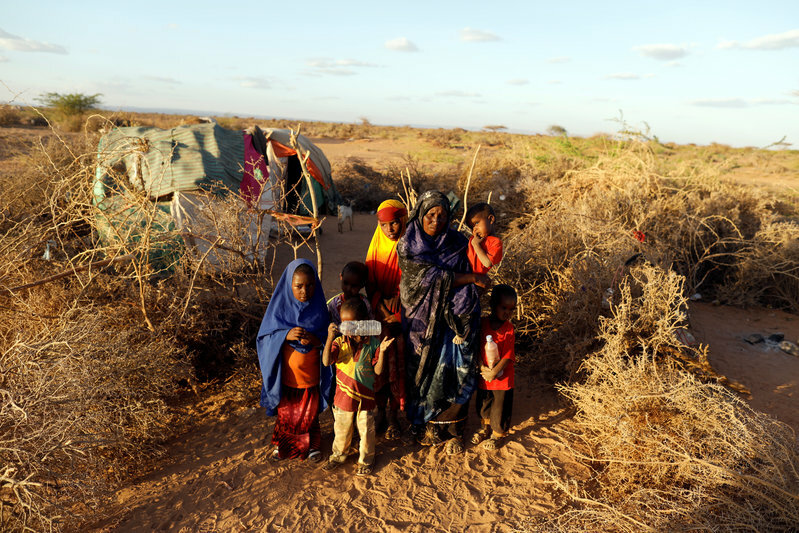 Beyond Somaliland, other regions in Somalia are also facing a devastating drought that has decimated harvests and is threatening to tip into full-blown famine only six years after a similar humanitarian catastrophe in which 260,000 people died. In other parts of Somalia, the shortages are worsened by fighting in areas occupied by al Shabaab Islamist militants. The Somaliland government in the regional capital Hargeisa said the drought had also led to an increase in diseases such as diarrhea and malnutrition, especially among children and the elderly. 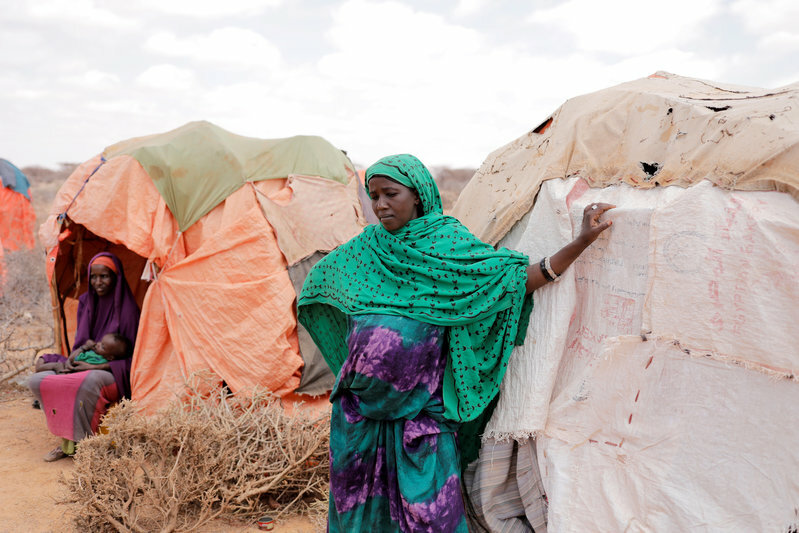 At another makeshift camp housing 500 people in Bardihahle, 100 km (62 miles)from Burao, pregnant Amina Haji, 23, who fled from Wardad in the eastern Sanaag region, one of the heaviest hit by drought, sat in her small hut in sweltering heat. Haji, whose baby is due any day, fretted about the conditions in the camp with its lack of food, water and healthcare.